 The Scene Magazine - Page 31 of 4579 - What's up Toronto? British filmmaker Joe Cornish made an impressive directing debut with the inventive alien invasion movie Attack the Block and after a long wait, he’s finally back behind the camera. Mixing Arthurian legend with a school boy’s adventure, The Kid Who Would Be King succeeds at being a charming English fantasy, while also providing the proper stakes. However, one can also see this as a fitting companion piece to Attack the Block, with its theme of teamwork and finding friendships in the most unlikely of places. There is a childlike joy to the film and it almost feels like Cornish has been dreaming of telling this sort of story since he was the same age as the protagonists. Cornish does a great job of setting up the story, both with an nicely animated opening prologue and the establishing of the lead character Alex. Cornish properly shows who he is, what he has to deal with and there’s an immediate sympathy for both him and his best friend Bedders. There is definitely a 1980s Amblin influence to how the young characters talk in this film, whether it’s Alex or his bullies. However, Cornish isn’t in-your-face about that and allows The Kid Who Would Be King to stand alone. There’s an investment in what happens to these youngsters as the story gets more out there and the film doesn’t shy away from the danger they’re in. There is a lot of imagination in the film, especially with the Merlin character. Played occasionally as an older man by Patrick Stewart, but most of the time by 24 year old Angus Imrie, he serves as both the comic relief and the mentor character for Alex and his band of misfits. He manages to give the necessary exposition, but never in a way that feels tiring. Imrie and Stewart play Merlin with so much joy and whimsy, especially as he attempts to integrate into modern society. Underneath all of the sword play and comedy, there is an underlying message about learning to be a better person and maybe that kindness can shape others, too, which is a good message to have in these dramatic times. Joe Cornish shows his flair for action scenes, including a car chase with the main quartet of pre-teens. There is also a decent amount of horseback riding and sword fighting throughout the film, along with creepy villains. The Kid Who Would Be King is a family film that earns its PG rating, what with the various monsters taking chase after the heroes. The visual effects crew deserves to be commended for the various computer animated beasts that stomp across the screen. Rebecca Ferguson is also clearly enjoying a chance to chew the scenery a bit as the central antagonist Morgana. The Kid Who Would Be King is an example of how the Brits seem to have a real knack for fantasy, especially those involving children dealing with monsters and creatures. Characters namedrop the likes of Harry Potter and The Lord of the Rings, as Cornish seems to be employing a similar awe for the magical. He nicely expands on the Arthurian mythology and has cast a talented group of young actors to bring the characters from his imagination to life. Even at two hours and ten minutes, the movie flies by as our leads hop from one location to the next with a sense of adventure and wondering where the next step will take them.